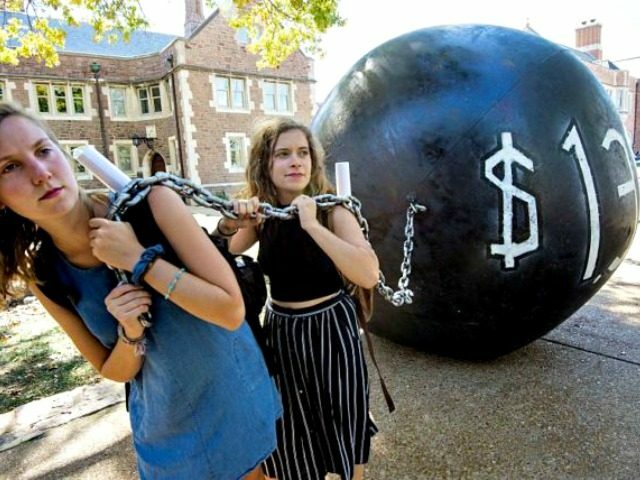 The Trump administration pushed out goals for modernizing the Higher Education Act Monday, including a proposed cap on student loan borrowing. “National Council for the American Worker released a set of White House proposals to reform the Higher Education Act to create a more innovative and demand-driven system that is responsive to students, workers, employers, and taxpayers,” presidential adviser Ivanka Trump told reporters. “This would offer students loan forgiveness after 180 months of repayment for all their undergraduate loans, regardless of where they’re working. And we think that this system can be reformed by using IRS tax data to do it,” the official said. Unfortunately, many colleges and universities have not been providing Americans the education they need to succeed in a cost-effective manner. Remarkably, student loan debt exceeds what Americans owe in credit card debt, auto loans, or home equity loans. Members of Congress who are committed to ensuring Americans thrive in today’s strong, modern, and growing economy should support and pass these reforms. Education Secretary Betsy DeVos was at the White House Monday. She was seen in a meeting with first lady Melania Trump for the reconvening of the Interagency Working Group on Youth Programs. President Donald Trump later recognized her at an evening White House event celebrating Greek Independence Day.